Discover all types of tours : museums, castles, churches and abbeys, tastings, parks and gardens, guided or free tours …. For a family or romantic walk, a lunch break or a relaxing moment, parks and gardens of Destination Cognac invite you to stroll and relax. Discover the guided tours of Destination Cognac ! Cognac Ville d’Art et d’Histoire, associations and craftsmen suggest you a beautiful programme. Guided tours of different areas, building sites, museums, natural areas...Unusual, urban, in the countryside to suit all taste ! Discover the old town of Cognac on your own, for a romantic stroll in the paved streets or with children to discover its secrets ! 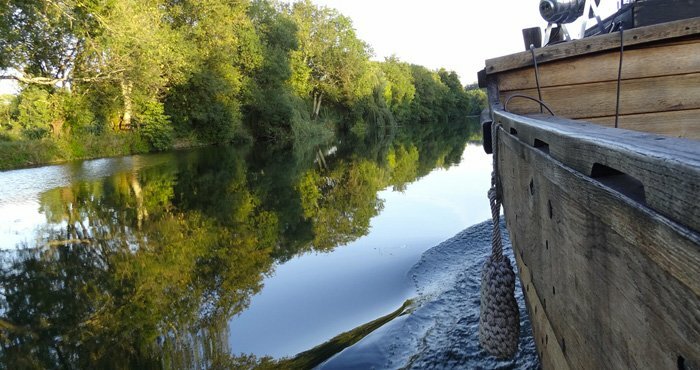 Carry on visit the villages of Bourg Charente, Bassac, Saint Simon and Saint Simeux along the river Charente !